Well, it looks like the world is coming to an end again. (Damnit, Todd! I told you to go to the doctor when you got bitten!) The undead are swarming all over. Now people are having to escape this zombie menace. Thankfully, Raxxon Pharmaceuticals is helping with evacuation kits. It's got what you need to escape. 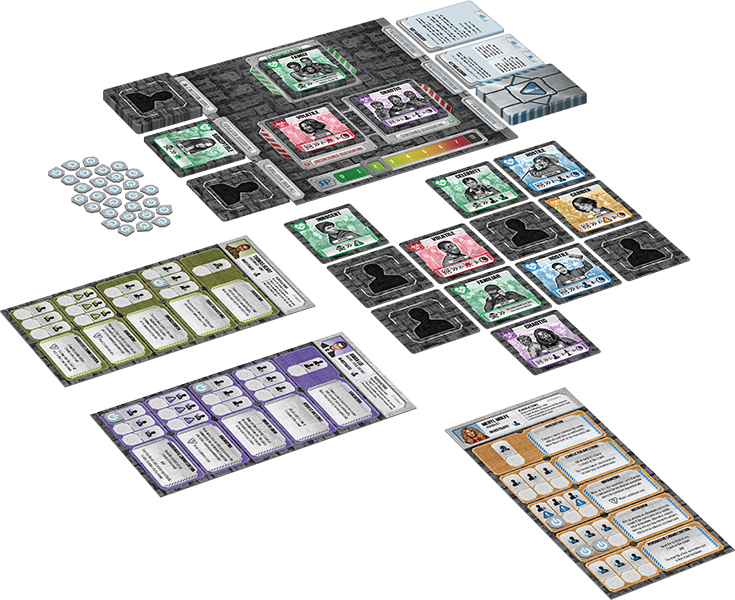 And it's just what you'll be using in Raxxon, a new cooperative board game coming from Z-Man Games. For weeks, Raxxon Pharmaceuticals has been partnering with local teams across the globe to contain the recent viral outbreak. Today, we regret to announce that despite Raxxon’s best efforts, the global infection rate has reached the tipping point. Many cities are unlikely to be salvaged, and citizens everywhere should evacuate to safer regions immediately. Raxxon has moved to Phase 2 of the containment protocol and is making Raxxon Evacuation Kits available to all who are willing to help. Raxxon Evacuation Kits will be on store shelves in early October so that all who wish to partner with Raxxon can help save humanity. Talk to your local store about pre-ordering a Raxxon Evacuation Kit today, so that you are prepared for the worst as the zombie apocalypse spreads. Raxxon is a challenging cooperative experience in which every action you take has unintended consequences. Tempt fate as you investigate the crowd looking for healthy to evacuate and infected to quarantine or eliminate. The choices you make determine the fate of humanity - search desperately for those final healthy survivors as Raxxon's power reaches its apex, or watch as the undead overrun your city.